​Watford midfielder Abdoulaye Doucoure has revealed that he plans to leave Watford for a team in the Champions League, amid rumours of interest from Paris Saint-Germain. Doucoure, who joined Watford from Rennes in 2016, says that he has informed the club of his desire to move on, as he is now of the age where he feels he should be playing European football. The 26-year-old said that he was flattered by PSG's interest but refused to rule out a move to Italy or staying in the Premier League. "I think I am going to leave ​Watford. The club know my ambitions and want to help me get to the next level," Doucoure told the French television show ​Canal Football Club on Sunday evening. "I'm flattered by the interest of PSG but for the moment there's nothing concrete. I will focus on my performance for my club. I've not had contact with PSG and they've not contacted Watford. "My goal is to play well for Watford and then maybe join a Champions League team. This winter we'll study all possibilities on offer. The most important thing for me is to continue to progress and with my performances. "Staying in England is a possibility and the Italian league is becoming more interesting. There are clubs who have returned to show interest in me again." 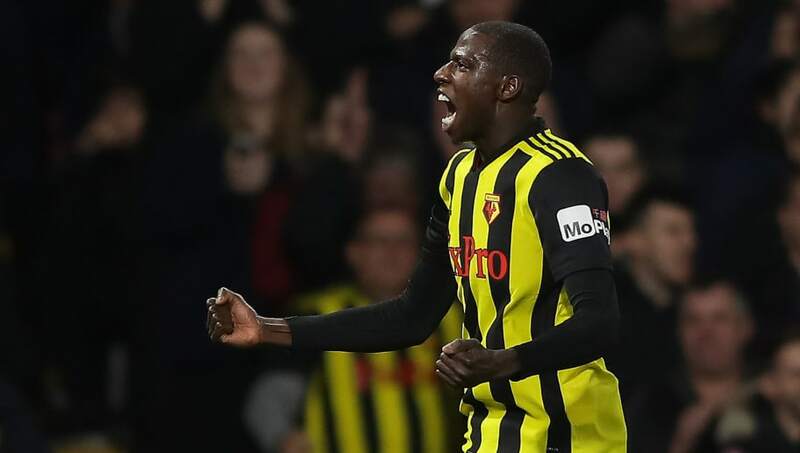 Doucoure was linked with a variety of teams including Arsenal and Liverpool after his performances last season, when he scored seven Premier League goals for Watford. His impressive form this season has put Watford in contention for a Europa League place, with Saturday's away win at Crystal Palace lifting the Hornets up into seventh place in the ​Premier League.